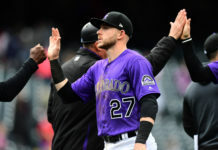 The Rockies projected starting lineup will encompass young stars such as Trevor Story, DJ LeMahieu, and Nolan Arenado. “It’s great to be able to go in there comfortable, and know that these guys are going to make plays behind you day in and day out,” said Bettis. “I think we are going to be very good. 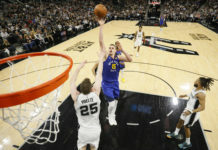 You know being a part of the group here, I think I can speak for everyone, saying that we are holding ourselves to a very high standard, and we plan to meet those expectations,” he added. With manager Walt Weiss stepping down at the end of last season, the Rockies found a veteran replacement in Bud Black. Black was a former manager of the San Diego Padres, as well as a pitcher in the MLB for many years. Bettis feels that Black will be a great fit for the Rockies because of his pitching experience. 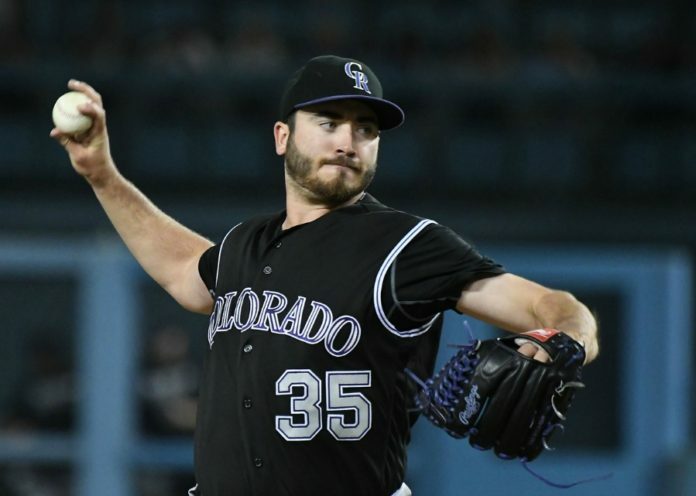 To hear the full interview with Chad Bettis, including his experience with his fight against cancer, listen to the podcast below.